Greek yogurt first hit American grocery store shelves back in 1998 and for seven years, it flew under the radar of most consumers. It wasn’t until 2007, when Chobani hit the market and took the market by storm, that Greek yogurt became an item on most household shopping lists. Ever since, yogurt making companies have been striving to keep up, or at a minimum, stake their claim in the Greek yogurt fad. Except that it’s not a fad. Greek yogurt is here to stay. 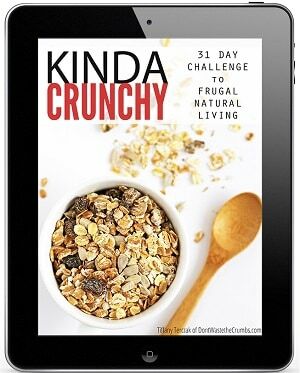 It’s thick, creamy, smooth and has up to three times as much protein than regular yogurt. The only downside? It can be expensive. A small, 6 oz cup of Greek yogurt costs on average $1.25. Similar sized, non-Greek yogurt costs only 50¢. Why the difference? 100% authentic Greek yogurt – not “Greek-style” yogurt – takes more time and resources than regular yogurt, that is, if it’s going to be made properly. The high amount of protein comes from triple the amount of milk used to make the same quantity of yogurt. Real Greek yogurt doesn’t use any fillers or thickeners – most labels include just milk and cultures. Whey is a natural by-product of the yogurt making process, and the only natural way to strain out the excess liquid (in order to have a thicker yogurt) is time. Obviously I’m going advocate choosing #3, but let’s talk about option #2 for just a second. Those “other” manufacturers that have been playing catch up in the Greek yogurt market have done a really good job of confusing the rest of us, so let’s get our facts straight. Greek yogurt is made with milk and active cultures. Greek-style (or Greek-strained) yogurt is made with milk, cultures, and “other stuff” to make it thicker. As a general rule of thumb, “other stuff” is bad. Avoid stuff. Keep it real. 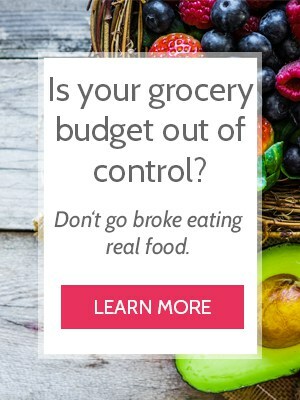 And keep it frugal by making Greek yogurt yourself! 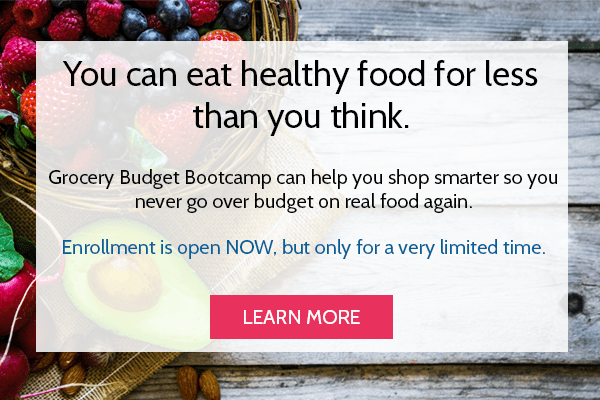 Decide where you fall in the spectrum and take a baby step to better yogurt! 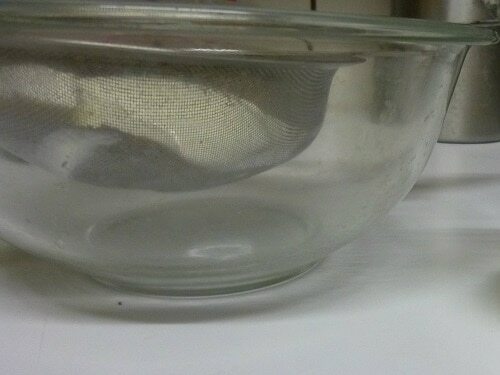 Hang your strainer over a bowl and line the strainer with the cheesecloth (if using). 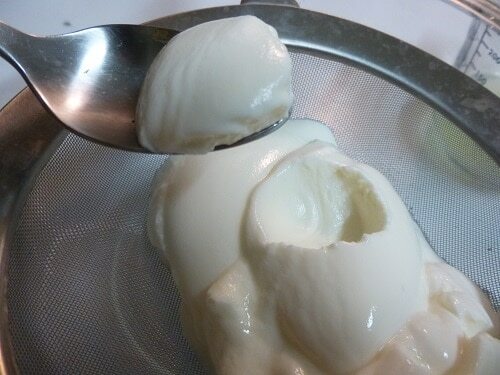 Scoop as much yogurt into the strainer as the strainer will hold. Unless your strainer is miniature-sized, you’ll end up scooping 1-2 cups. Allow the whey to strain – undisturbed – for at least two hours. This can be done at room temperature or in the refrigerator. The resulting yogurt will the thick like Greek yogurt. That yellowish-clearish liquid is called whey and it’s packed with minerals and is high in protein. Just one cup contains nearly 2g! This may not sound like much, but it’s more than most non-dairy milks. Use whey to boost the protein in smoothies and in recipes calling for water (rice, soups, beans, etc.). Find more ideas for using whey HERE. Starting with one cup of yogurt will yield approximately 1/4 cup of whey. This means that when you’re making 2 quarts of regular yogurt, you’ll end up with 6 cups of Greek yogurt and 2 cups of whey. 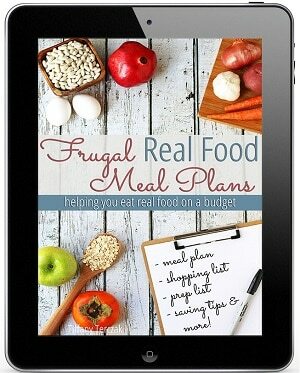 Take this into consideration for recipes and your grocery budget. What else can I do with yogurt besides eat it? Yogurt can be used in place of any acid medium when soaking grains, like in sourdough pancakes or soaked tortillas. You can also use it in ranch dressing or in place of buttermilk for potato buttermilk bread. If you’re wanting to give homemade yogurt a try, use this super easy tutorial that calls for a heating pad. It’s my preferred method and hasn’t failed me yet! If you’re not quite that ready for homemade, try a yogurt starter kit from Cultures from Health instead. What’s your favorite style yogurt? My kids LOVE greek yogurt! Once we tried it that is all they wanted. so, This sounds Awesome!! But…I dont get it. If greek yogurt has 3x the protein of regular yogurt.. How can I take regular yogurt (3x less protein) strain it…seperating the yogurt and whey (you said they whey is high in protein as well) So I must be missing something because if all/some of the protein is in the whey that I separtated from the regular yogurt. How can the “greek” or thick yogurt Im left with have 3x as much protein from when I started? Im missing something…..
A 6oz cup of regular yogurt contains 7.5g protein and Greek yogurt contains 9.5g protein — this after only 2 hours. Large manufacturers often strain for a full day or two, removing even more whey and thereby increasing the protein concentration in the yogurt that much more. Woops, replied the last comment in the wrong spot, but Helen I have the same problem with the quinoa, great idea! LOL, thanks! Let us know how it goes! Ever since I read this, I’ve been hunting through my kids clothes looking for a suitable shirt. I’ll have to keep my eyes peeled before sending out donations next time. Do you strain through one side, or both of the shirt? I like using white ‘flour sack’ dish towels that you buy at WallyWorld for next to nothing. I sometimes cut them in 1/4ths and hem or serge the edges so I don’t have fuzzy bits in my yogurt. 1/4 of a towel fits a large mesh strainer just right. I use my jelly bag strainer when straining plain homemade yogurt…I purchased it from Amazon for a few dollars and it came with a straining bag that’s super easy to use! It’s multi-purpose as well – of course for making jelly, but also for rinsing grains, de-pulping juice puree, etc. A question: my homemade yogurt has been turning out a bit lumpy which tastes fine but doesn’t give a pleasant texture. This lumpiness does not change even when I strain it…any ideas? II have been making greek yogurt for several months and second the flour sack towel strainer. Works better and cheaper than cheesecloth. Washes out easier too. But my biggest comment is a new discovery on using the tons of whey leftover! I’d heard rumor of this on the web but could not find a recipe for it. So I rolled the dice. It was AMAZING. I simmered probably 2qts of whey in a saucepan for almost 3 hours over low heat. At first I never thought it would reduce but slowly it did and the lactose in the whey caramelized into the most beautiful, delicious sauce ever! My kids were amazed. I added about 1/2 cup of dried cane juice and a pinch of salt but in retrospect I don’t think I needed the sugar. After some reading, it seems that I was on my was to making norweigian jgeoyst? cheese. I usually keep and freeze my whey for baked goods but with fall apples, what better chance to make a yummy treat with the abundance of yogurt leftovers!! Try it and see if it works for you. But my biggest comment is a new discovery on using the tons of whey leftover! Caramel sauce! I’d heard rumor of this on the web but could not find a recipe for it. So I rolled the dice. It was AMAZING. I simmered probably 2qts of whey in a saucepan for almost 3 hours over low heat. At first I never thought it would reduce but slowly it did and the lactose in the whey caramelized into the most beautiful, delicious sauce ever! My kids were amazed. 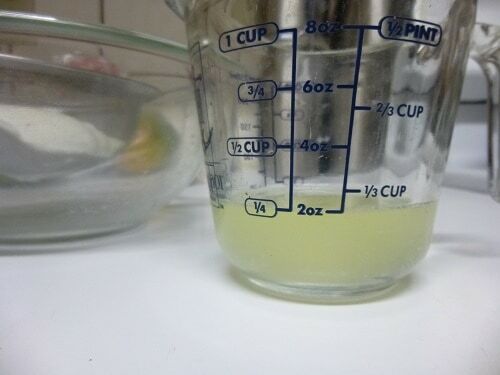 I added about 1/2 cup of dried cane juice and a pinch of salt but in retrospect I don’t think I needed the sugar. After some reading, it seems that I was on my was to making norweigian jgeoyst? cheese. I usually keep and freeze my whey for baked goods but with fall apples, what better chance to make a yummy treat with the abundance of yogurt leftovers!! Try it and see if it works for you. Caramel sauce from whey?! 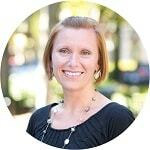 Wow, that IS a big leap of faith Jennifer! I haven’t heard of that before, but I’d be willing to take the plunge too, especially since it would be a much more natural sauce with the natural sugars in whey. Great job being a pioneer! I haven’t heard of norweigian jgeoyst either… you’ve certainly given me some research topics!! yrs ago (no rly, i mean like 20 yrs ago lol), we would strain our yogurt to make quark (as it was so pricey from the buying co-op i ran). it would be spreadable and sort of a sour cream-cheese. im not sure it was officially quark even but it was close enough for us. i would throw out the whey as i didnt compost or grow plants lol. yeah it was a RLY long time ago, i toldja. so i laughed when i learned that greek yogurt was just strained yogurt, well duh the nutrient counts are gonna be higher, ur eating more per cup; ur basically eating more–like the diff btwn an apple or 6oz of apple JUICE (its lotsa apples in that juice)! –and its SOOOO super simple to make. Why Ppl Pay More For The Greek Yogurt Is Beyond Me. even paying for several coffee strainers, u’d recoup ur money quick (scaping off cloth and having to launder it is just way above my time availability as a single HSling mom — then and now). one thing i also found, ive only ever tried Fagé yogurt, but the fat content in this greek yogurt is high too and while i generally eat a higher fat diet (full fat everything and lots of eggs ) an 8oz serving of the Fagé makes me ill. just rly kinda queasy–but for hours. if i eat 4oz maybe im ok but then i gotta find something else to make up the protein and Ca i didnt get in the other 4oz. so im not super sold on greek yogurt as a steady diet anyway. the super high protein content seems not right me either–protein powders are out for me right here as proteins just not found this way in real food. it’s kinda like juicing vs eating the raw fruit. once in awhile juice is great, but daily fruit is much preferred. straining ur yogurt is nice to do occasionally but a pregnant lady just eating cups & cups of greek yogurt for her protein needs (like is so in to do now) is missing out on the important nutrients found in meat, one of which is completely lacking in milk–iron. or in nuts/seeds and beans–fiber anyone? 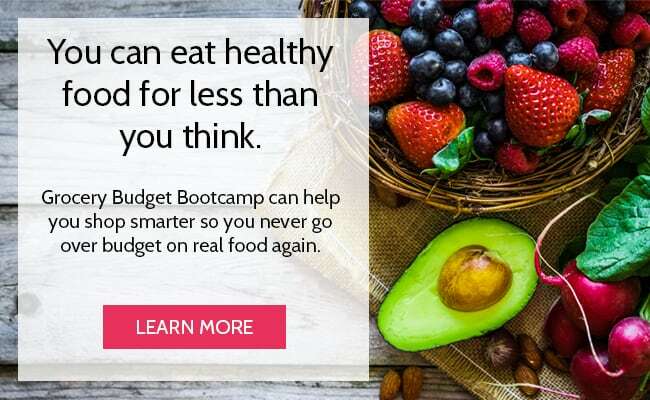 and she is likely sweetening the yogurt with at least alot of fruit, wen nuts/seeds and meat add no sugar or even (non-fibrous) carbs (& the carbs in beans is a very good carb). I knew that you could easily transform regular yogurt into Greek yogurt, I just wasn’t sure how to make it work for me. I ended up modifying this college edition: I attached a coffee filter to a mason jar by screwing the ring on top of the filter. It worked beautifully! Thanks for the inspiration (and $3 of savings)! Aha! I hadn’t thought of that!! And invert to drain? BRILLIANT!!! I think I am missing something? I would like to try making this using milk from a local dairy. Exactly how do I go about using a gallon of milk to make yogurt? Sorry for asking a question that has been ask before, but I don’t quite get it yet? Thanks in advance! Does anyone know how you would figure out the nutritional content of the strained Greek yogurt? Clearly, the fat and carbs are similar to milk, dependent on which brand you buy, but I’m not sure how to know how much protein it contains and I haven’t been able to find any information elsewhere on the web either. I vaguely remember reading that it takes 3 cups of regular yogurt to make 1 cup of strained Greek yogurt, so my best guess would be to use those numbers as a starting point for your homemade version: 1 cup regular yogurt = approximately 1/3 cup Greek yogurt for protein content. Ausome idea to make greek yogurt but can you leave it to strain for less then 2 hour but the yorgurt will still become thick? I recently started making Greek yogurt since I could make it so much cheaper than buying it ($4.56 for a pint of Greek-style yogurt vs $3.59 for a half-gallon of local unhomogenized milk). I use a half gallon of milk at a time, since that is what my maker holds, and make a batch about every 10 days. I get about 3 pints of yogurt and a pint of whey from each batch. I bought a non-electric yogurt maker for making the yogurt and a nylon mesh strainer for turning it into Greek yogurt which also has a bowl the whey drains into and a lid to seal it while it is draining. I leave the mixture in the yogurt maker for 18 hours even though the instructions say about 5 or 6 hours (not long enough to even make yogurt) and then put the yogurt in the strainer for up to 24 hours in the refrigerator and it comes out as thick or thicker than store-bought. Two of the best purchases I’ve ever made. In the past, I’ve tried using canning jars and other methods but have only ended up with a clabbered mess. I use the whey for ice cream (our favorite) or simply in casseroles or other dishes. I also use plain yogurt in place of sour cream. I love that you invested in machines to help make your yogurt making easier, thereby you making it more often! That’s smart thinking!! And whey in ice cream? Do tell!! Yes, the whey in place of milk for ice cream really makes it taste more like frozen yogurt. I had some Junket ice cream mix and decided to try it with whey, so I replaced all the milk and cream with it . I was surprised at how it came out. It was slightly icy but not unpleasant and had the yogurty taste we love. Junket works better for us since it’s only my son and me and I can make small batches that will last us several days. My ice cream churn makes 4 to 6 quarts at a time so that’s a little big for us now. Below 4 quarts, it doesn’t work very well. I don’t see why the whey wouldn’t work in an ice cream churn though. Maybe mix half whey and half milk. I didn’t know a paper towel would work – thanks for letting us know Sarah! Question: how long can you keep the Greek yogurt in the fridge after it’s all done? I apologize if this question has already been answered. I read some of the comments, but not all of them. Yogurt is already fermented… ? Since you incubate it for 24hrs, is it extremely sour? I usually only incubate 9hrs. I’m curious why you do it so much. I came here looking for instructions on making a large batch. I’ve been using a Dash incubator for a year now. But the batches are so small, i have to make it *several* times a week and it’s making me crazy. So excited to find your tute and see how simple it can be! Thank you! I incubate for 24 hours to produce a thicker yogurt, resulting in more good bacteria and less sugar. It’s supposed to be easier on the digestive system too, although I personally have never had issues with dairy. Good luck with the big batches Cayley! I’ve been making it this way for years, and have never had an issue! Carly, I use a YoGoTherm Nonelectric Yogurt Maker. I think I got it and a yogurt strainer from Everything Kitchens.com. It holds a half gallon of mixture. I use a half gallon of whole milk to which I add 1 packet of Knox Gelatin because we like really thick Greek yogurt. Though not necessary, I fill my yogurt maker with hot water while I make the mixture. Then dump the water and add the mixture. Even though the yogurt maker has thick insulation, I usually wrap towels around the maker since my house is rather cool, especially in winter. I get about three quarts of yogurt and a quart of whey after straining. If I am using new starter, I let it sit about 6 to 8 hours. Much longer than that and it gets really sour. If I’m using starter from a previous batch, I let it sit for about 12 hours. Then strain it for another 8 to 12 hours in the refrigerator. Hope this helps. I have a electric pressure cooker(Instant Pot) that has a yogurt setting. It can make up to 10 cups of yogurt at a time. I also bought a yogurt strainer that has a mesh bowl and a whey catching bowl with a cover. I usually strain mine for 6-10 hours and have lovely, custard like yogurt. 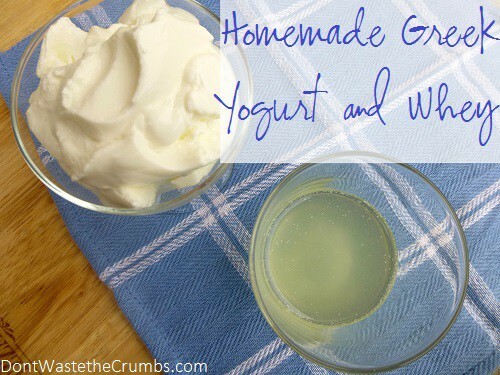 My husband takes yogurt in his lunch every day and now he only wants the homemade! The instructions for making yogurt with a heating pad looks somewhat less complicated than mine but I know mine works too. The advantage of this one is that it works for big batches. Empty 1 gallon of milk into your crock pot. Set it for low for 4-1/2 hours. Pull the plug and leave the lid on for 3-1/2 hours. It is best to time this so that you reach this part of the recipe at 7 or 8 p.m. Thoroughly combine 1 cup of yogurt and 1/2 cup of powdered milk. (the powdered milk is optional — I use it when I have it — it just makes the yogurt a little thicker). Remove the crock insert from the heating element of the crock pot and wrap it well in heavy bath towel. Put it in your oven with just the oven light on. Make sure to put something goofy on your stove to remind you not to turn the oven on while the crock is inside. Leave it in the oven for at least 12 hours and up to 18 hours. It becomes a little more tart the longer it sets. Strain by your favorite method. I usually let it set until between 7 & 8pm. Put into glass container with lid. Be sure to save the last cup to make your next batch. Hope this helps. there is absolutely no benefit from buy organic. None. Scientifically proven. Other than wasting your money. Hi Ilo – do you have a resource to back up your claim?